We are very excited to teach the Luxury Summit our Vlaun Methods. A fun fitness camp for both men and women. 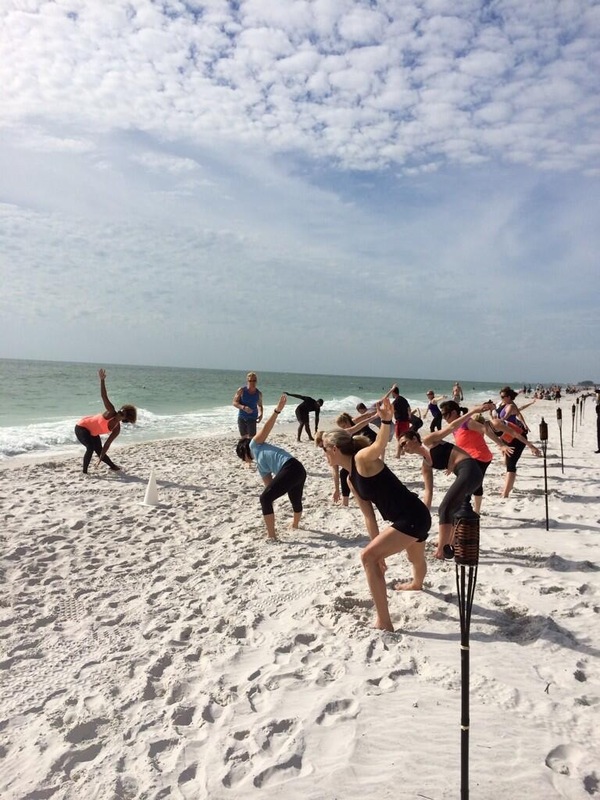 The balanced workout integrates the body-mind-spirit connection through Eastern and Western training modalities that include: interval aerobic and functional strength conditioning, core training, ply metrics, boxing, basic Yoga poses, and meditation all often performed on the sand. Shoes are optional. 60 MIN. All levels. Designed by Tracie Wright‐Vlaun, AEROGA® is a pioneering health and fitness practice derived from traditional Vinyasa Flow Yoga, Dance, Pilates, Core Progressions, and Aerobics. The unique sequence is a specific formula that very rhythmically enhanced while spiritually enlightening. The workout progression is developed in a way where one series prepares you for the next. AEROGA is designed to liberate and ignite a vital life-force spark for every person, young or old, where they go away with an unforgettable experience in which they only wish to revisit. Established in 1999, the American Express Publishing Luxury Summit is dedicated to the luxury industry throughout the world, and is led by the editors of Travel + Leisure, Food & Wine, Departures, and Black Ink. Join us for our 12th year as we continue to analyze critical issues and trends, share best practices, and examine the evolving needs of the affluent consumer in a rapidly changing world; the world of luxury today. Participation in the American Express Publishing Luxury Summit is by invitation only and geared to senior level executives from the world’s leading luxury brands. AEROGA® ON OWN NETWORK with Iyanla Vanzant!